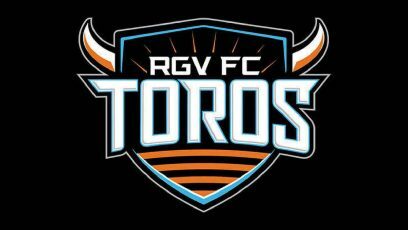 The RGV FC Toros used a goal by Jose Escalante and a San Antonio FC red card in the first 20 minutes to pick up a 1-0 win on Saturday at Toyota Field in San Antonio. The victory is the second straight for the Toros. Last week, RGV FC knocked off the second-place team in the Western Conference, Reno 1868, before defeating No. 3 seed San Antonio (14-4-10) on Saturday. Though the win improves RGV FC to 9-13-7 with 34 points on the year, the team’s slim playoff hopes grew only more bleak this week, as the Toros would need to leapfrog four teams and make up six points in the standings over the course of just three matches to move into the conference’s top eight from the their current standing of 11th. The lone goal of Saturday’s match was scored in the 17th minute. RGV FC defender Ivan Magalhaes sent a long ball down the left sideline to Justin Bilyeu, who delivered a pass to Escalante as he made a run down the left half of the field. Escalante dribbled across the left corner of the penalty area and sent a left-footed chip over the outstretched arms of the San Antonio keeper, tucking the ball just under the crossbar and into the far side of the net. Escalante also drew a pivotal red card against San Antonio’s Ben Newnam in the 20th minute. Newnam was dribbling near midfield when Escalante made an aggressive challenge from behind. After both players fell to the pitch, Newnam flailed his right leg, deliberately kicking Escalante in the back of the head. Replays showed that the contact appeared to be light, but Escalante remained on the pitch holding the back of his head for more than 2 minutes as the referee sent Newnam to the locker room. Despite playing at a disadvantage for an extended period, San Antonio kept pressure high throughout the game, taking nine shots to RGV FC’s seven, including five on target to the Toros’ three. SAFC also earned nine corner kicks to RGV’s six and held a narrow edge in possession at 50.4 percent. Penalties and chippy play were a defining characteristic of the game, as RGV FC’s Memo Rodriguez, Eric Bird and Escalante all received yellow cards. Stephen McCarthy and Pecka were also booked for San Antonio. Play was stopped frequently, especially during the first half, with players arguing with the officials and fans vehemently booing nearly every decision. The teams played almost 11 minutes of stoppage time following the first half. RGV’s Calle Brown made five saves to secure the team’s second consecutive clean sheet — only the second time this year the Toros have posted back-to-back shutouts. Brown was one of five Houston Dynamo assignment players in RGV FC’s lineup Saturday, joined by Rodriguez, Escalante, defender Kevin Garcia and midfielder Joseph Holland.